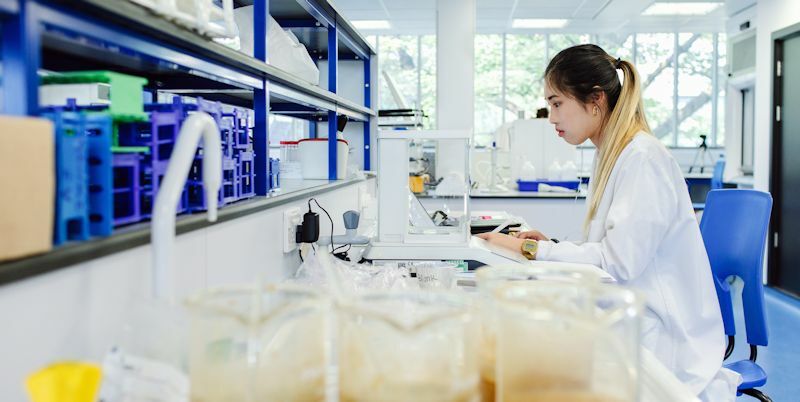 A PhD is the most internationally recognised research qualification, and is the most commonly pursued research degree at Leeds. The aim of any research degree is to carry out a programme of research that furthers knowledge in your chosen subject field. During this time, you will work under the supervision of a primary supervisor and one or more co-supervisors who are experts in the same field, sometimes as part of a team, with other students and staff. The Doctor of Philosophy is our main research degree. The PhD is awarded on the basis of a thesis (300 pages or 100,000 words) and examiners must be satisfied that you have discovered, interpreted and communicated new knowledge through original research, worthy of publication in international and national peer reviewed journals, which might reasonably be expected from a competent, hard-working student after three or up to four years of full-time study (five years or up to seven years for part-time or split-site study). Examiners must also be satisfied that you possess good general knowledge in your area of research. We also offer an alternative style of doctoral thesis known as the ‘PhD by publication’ route, which encourages candidates to publish and to include their publications as, or within, their final submission. This model of thesis can only be submitted where the supervisory team supports this format of submission and is satisfied it is appropriate and meets the protocol in place for that Faculty. The Master of Philosophy is awarded on the basis of a thesis (200 pages or 60,000 words) and examiners must be satisfied that you have been able to interpret and communicate knowledge through research and/or scholarship of publishable quality which would satisfy peer review, and which might reasonably be expected to be completed after two or up to three years of full-time study (four or up to six years for part-time study). You must also satisfy the examiners that you possess a good general knowledge in your area of research. This degree would be suitable if you have 2 years of sponsorship for your research degree study. The Masters by Research is a completely research focused degree and is awarded on the basis of a thesis (100 pages or 30,000 words). Examiners must be satisfied that all of the research and the thesis was completed within 12 months (24 months part-time). This is a demanding degree and the entry requirement is a UK undergraduate honours degree 2.1 (or equivalent) or higher. It is therefore necessary to have the research question and research project description confirmed and in place before the research commences. This is a combination of part-time and full-time study and is intended for highly qualified individuals. The standard period of study is five years, with a maximum time limit for submission of your thesis of seven years. The entry requirement is a relevant degree equivalent to a UK undergraduate honours degree 2.1 (or equivalent) or higher and a masters degree. The English Language requirement is higher than normal and is IELTS 6.5 with not less than 6.0 in any skill area (or equivalent). You would be required to be in full-time residence in Leeds for at least eight months within the five year standard period of study. At least six months must be spent in Leeds in Year 1 so that appropriate training can take place. You must be present in Leeds during Year 2 for the formal assessment for transfer to full PhD registration and then at a later stage for the examination of the thesis. The supervisors are appointed at the University of Leeds and a “local” advisor must also be appointed. The “local” advisor should be employed by a HEI, Research Institute or Commercial or Industrial Organisation with significant research component or reputation and should be readily available for consultation. The “local” adviser must be familiar with the UK system for the award of research degrees, and must be approved by the University of Leeds. You must provide a statement of support confirming that relevant resources and facilities are in place for your research. A clearly planned research project must be in place before the research commences.